PARTIT KOMUNISTA MALTI: Privatisation of Public Carparks is not the solution. Privatisation of Public Carparks is not the solution. The Communist Party of Malta is against the Government's policy to privatise 34 public carparks. "The government's decision to privatise the 'Park and Ride' in Floriana was a failure, and had adversely affected workers who work in Valletta, due to the high parking fee. There is also a contradiction in the operation of this service, as the company that operates the service, also runs the public transport". 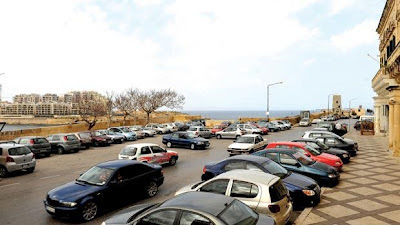 "Parking in Mater Dei is also a failure because Maltese public are ending paying up twice. Apart from paying to park, the private operator is also being subsidised by the Government to keep price within reasonable limit".